Officially known as one of the most beautiful bays of the world, the Baie du Somme (Somme Bay) is an amazing natural site. A large estuary in the Picardie region of Northwestern France, its characterised flat areas of marsh and sand especially come to life during low tide. The bay drains six rivers into the Channel and takes up a total of 72 square kilometers. The reserve shows most of its natural beauty from the air and is my biggest playing ground for aerial photography! To most the colours and patterns in the image below might look somewhat unreal, but I can tell you that beside an overall contrast adjustments nothing has been added or deleted. One could almost think it was shot from space since it provides the viewer with a lot of mystery. The image was shot from my vintage 1954 Piper Super Cub on a trip from Belgium to Normandy at 1000ft (300m). The image is definitively one that needs to be printed large as a “fine art aerial photograph”; preferably on Dibond since the amount of detail is jaw-dropping. Meanwhile, I’ve also added it to my new Aerial Portfolio section on the site. People interested in purchasing this or other large prints of Aerial images, can contact me here. 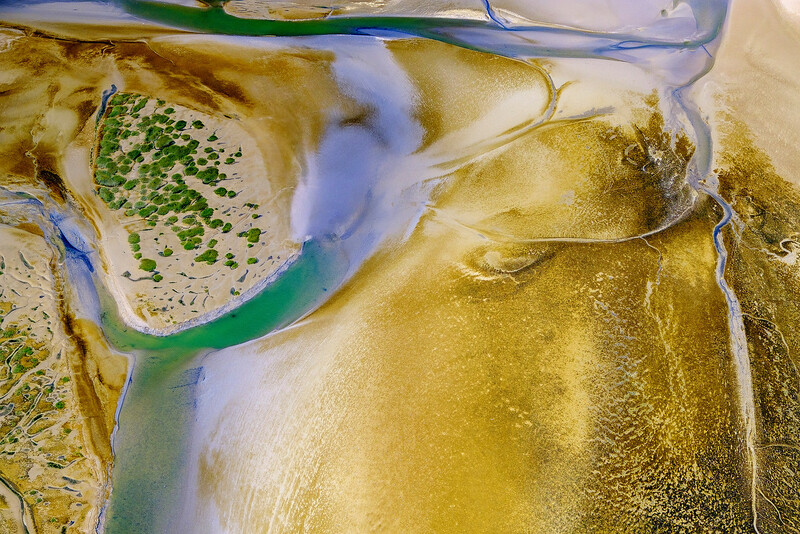 Pic(k) of the week 32: FINE ART AERIAL PHOTOGRAPHY - Somme Bay posted on Bjorn Moerman on November 12, 2018 8:23 pm .